What Do You Get a Girl Who Has Everything? Today, my kids have enough communications devices that getting their own phone in their rooms doesn’t make any sense – they’ve got cell phones, text messaging, email, instant messaging on multiple devices. (Did I miss anything? Yes, I did; they can also make calls on that old “landline” telephone). Why would they want an extension phone? 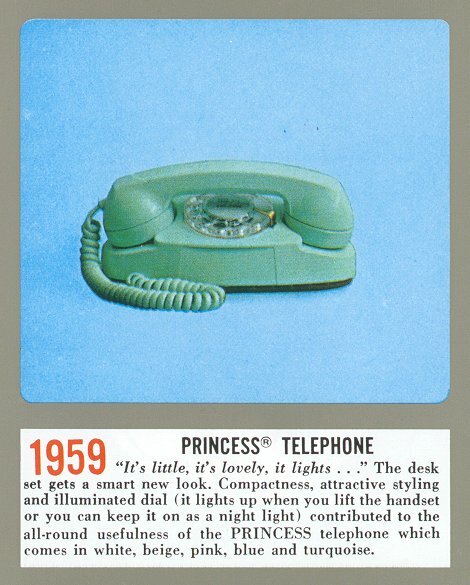 (Anybody remember how hot Princess phones were? Check out www.bellsystemmemorial.com for what phones used to look like -- wow!